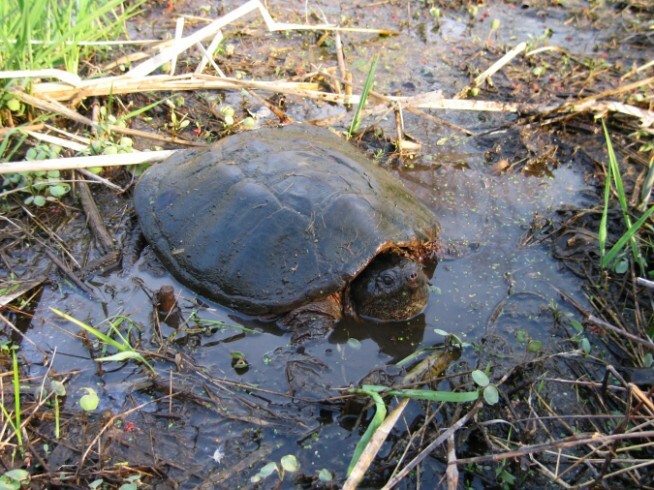 The Snapping Turtle (Chelydra serpentina) is the largest and most frequently seen turtles in Massachusetts and is the only species of amphibians or reptiles to receive no protection by the Massachusetts Fisheries and Wildlife. Herpetologists here at UMass petitioned the State to impose minimal protections and we hope that the state will soon recognize this species as an important component of our wetland ecosystems. This snapping turtle was found by Alan Richmond while he was conducting rare species inventories in Palmer, MA.